is there someone filming smth about her? this is reaction to what? 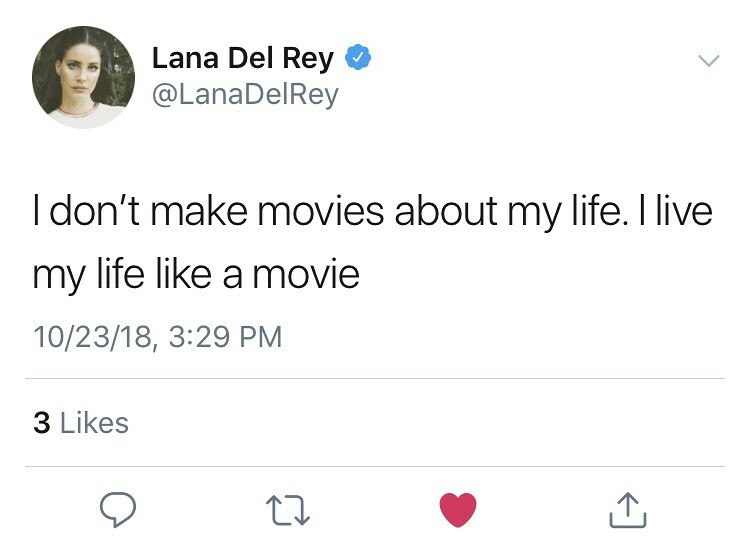 Isnt she making a documentary about her life? I don't think she's obsessing over Halsey she's just being "deep"
Lana is stanning for Dodgers.